Born in Cooma on 7 June 1886, Lilian Fowler (nee Gill) seemed destined for politics from an early age. It is said that she decided on a career in politics after an ‘Inspector for Nuisances’ confiscated her marbles while she was playing with them on a public footpath in regional NSW. However, it is more likely that she gained an interest in politics from her father Charles Munro Gill, a Labor League organiser and alderman for Cooma Municipal Council. She married bootmaker Albert Edward Fowler on 19 April 1909 at Whitefield Congregational Church. They had one daughter. Lilian Fowler died on 11 May 1954. Lilian Fowler’s brother was Percy Gill, alderman on Waterloo Council in 1934-37. Lilian Fowler was a formidable woman whose clarity of convictions, confidence and outstanding organisational skills helped her smash through the glass ceiling of politics. She opened up opportunities for women while helping the most marginalised people in society. In 1936, Newtown Municipal Council purchased a former brass foundry on Angel Street in Newtown, to create a park. It was later named in honour of Lilian Fowler, and commemorates her commitment to improving the lives of residents in the inner suburbs of Sydney. The Lilian Fowler Reserve celebrates a tenacious and successful campaigner for social justice whose concerns extended to the needs of all children to have access to local playgrounds. 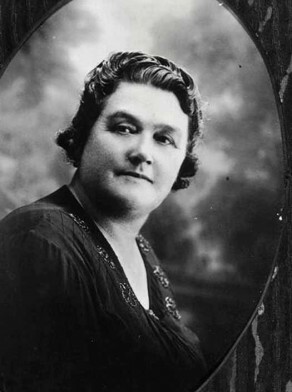 As President of the Labor Women’s Central Organising Committee in the mid-1920s, Lilian Fowler placed pressure on NSW Premier Jack Lang to introduce the widows’ pension and child endowment. Fowler was the first woman alderman in NSW, the first female mayor in Australia and among the first women Members of Parliament in the NSW. She was a member of the Australian Labor Party (Lang Labor). She was also a Justice of the Peace (JP). Lilian Fowler was elected to Newtown Municipal Council in December 1928. One of her key achievements as an alderman on Newtown Council (1928-48) and as Newtown’s mayor (1938-39), was the creation of a number of children’s playgrounds in the Inner West. Heather Radi, ‘Fowler, Elizabeth Lilian (1886–1954)’, Australian Dictionary of Biography, National Centre of Biography, Australian National University, http://adb.anu.edu.au/biography/fowler-elizabeth-lilian-6222/text10705, published first in hardcopy 1981, accessed online 2 March 2016.